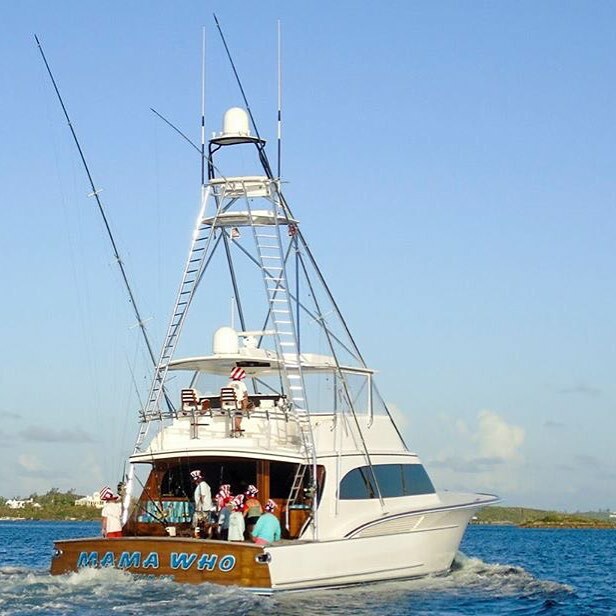 A huge congratulations to the Jarrett Bay 77 Mama Who in taking home the Bermuda Triple Crown trophy! This esteemed accomplishment was partly achieved by the great skills of Elaine Jones winning Top Lady Angler for the team during the Bermuda Billfish Blast and junior angler Sales de La Barre being recognized as Top Junior Angler in both the Bermuda Big Game Classic and the Bermuda Sea Horse Anglers Club Tournament, where team Mama Who took second place with 2,000 points in a field of 260 anglers. This, combined with the 1,000 points they earned in the Bermuda Billfish Blast, the Mama Who team ended the Bermuda Triple Crown with over 3,000 points and the title. This is an incredible achievement for the anglers and captain aboard Mama Who, but it is also not the first time the Jarrett Bay 77′ has swept the tournament headlines in Bermuda. In 2013, when the 77 first splashed as Blank Check, the team took home the Blue Marlin World Cup on July 4th, in a competition against 130 boats in 18 different countries. The Blank Check team also took first place that year in the Bermuda Billfish Release Cup. These crowning achievements aboard the Jarrett Bay 77 is a testament to what an amazing sportfishing boat can do, but also to the teams that have owned and fished this amazing boat. And perhaps there could be a little luck in those double 7’s that represent the length of the boat!